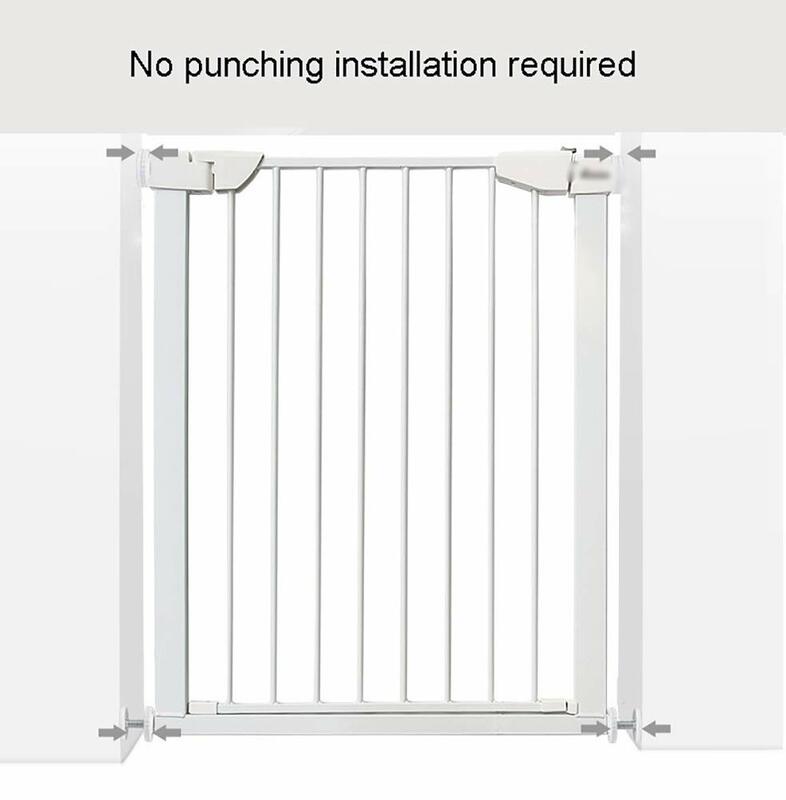 ★Easy to use: No need to punch holes, just adjust the four-point bolts and install them by reaction force. 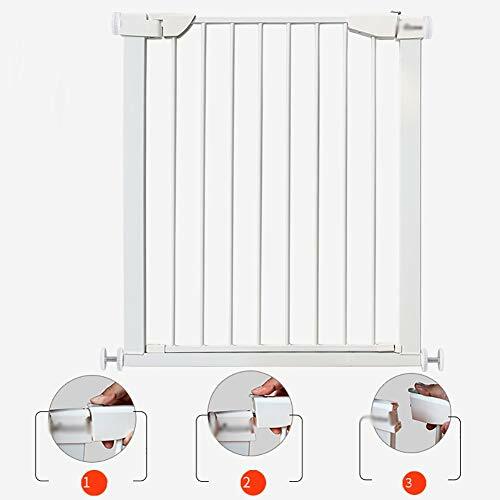 ★Adjustable: If the installation dimension is larger than length 82 cm, you need to use the extensions. 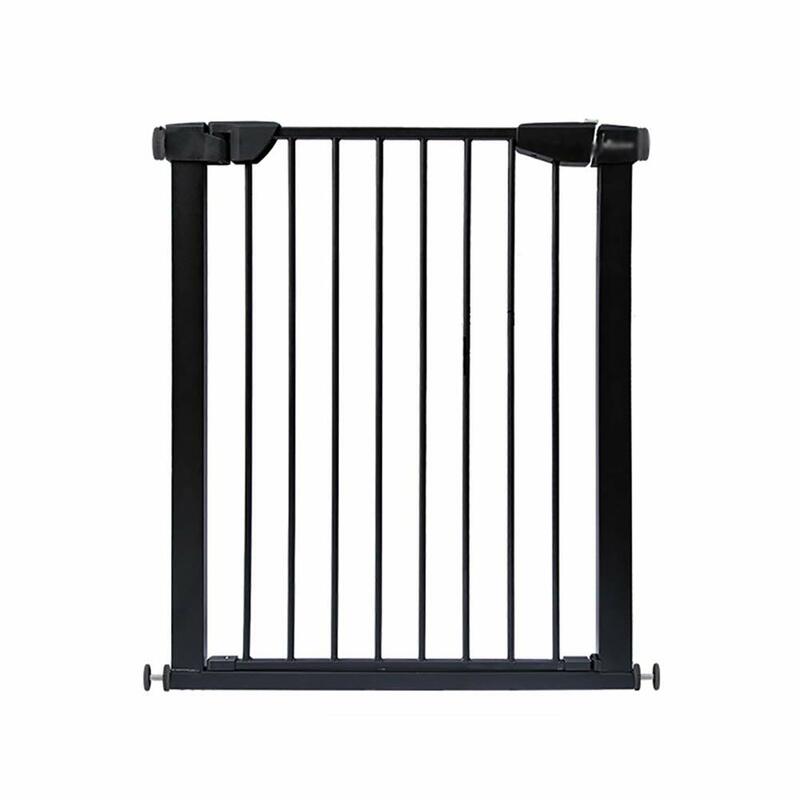 ★Features: Suitable for a variety of locations, stylish design will fit seamlessly into your home environment, ideal for keeping your child safe and protected in your home. – Perfect for children and pets, protects your child from wandering into dangerous areas around the house even when you aren’t watching. 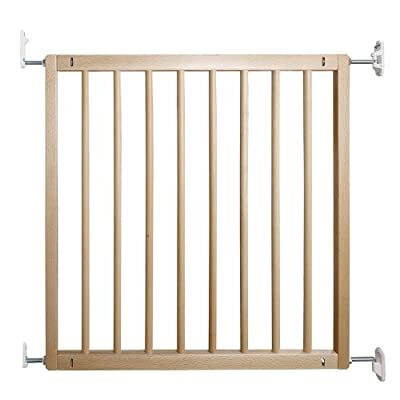 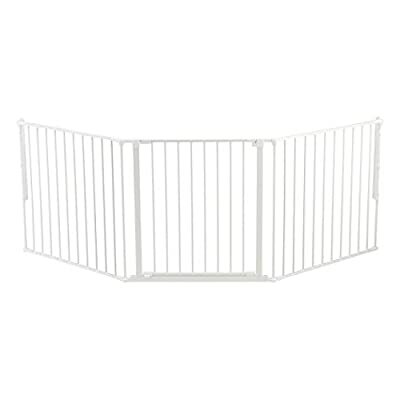 – Baby safety gate is a fantastic addition to help to childproof your home;this will fit seamlessly within your home. 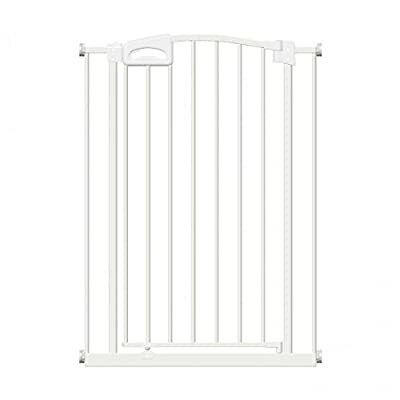 – This safety gate is the perfect way to secure your home, the simple, one handed operation will allow you to have access through the gate whilst your baby is secure, helping to provide you with a solution to home safety for your child. 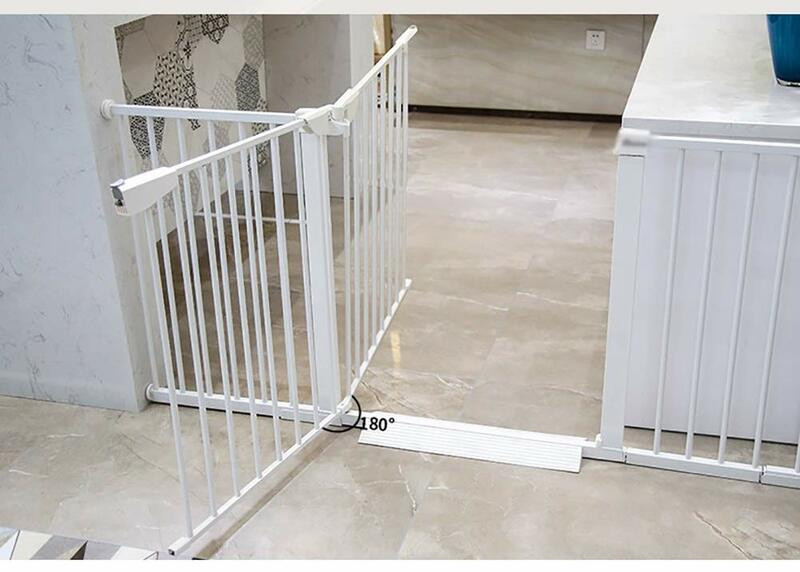 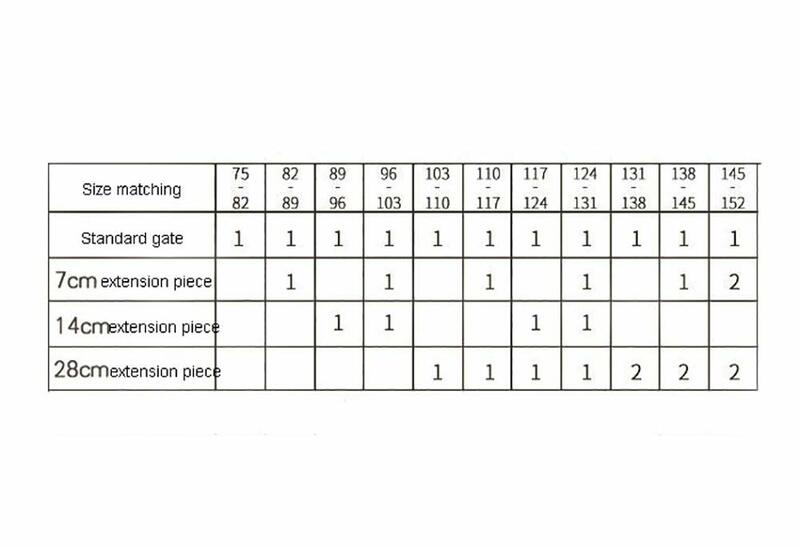 – Before ordering,for your benefits, please send us some pictures to see if your house is suitable for installing this safe gate, and tell us the precise width of your gap.Please make sure it is stable enough before use after you finished install. ★Applicable occasion: Suitable for stairs, hallways, kitchen, bathroom, bedroom, balcony. 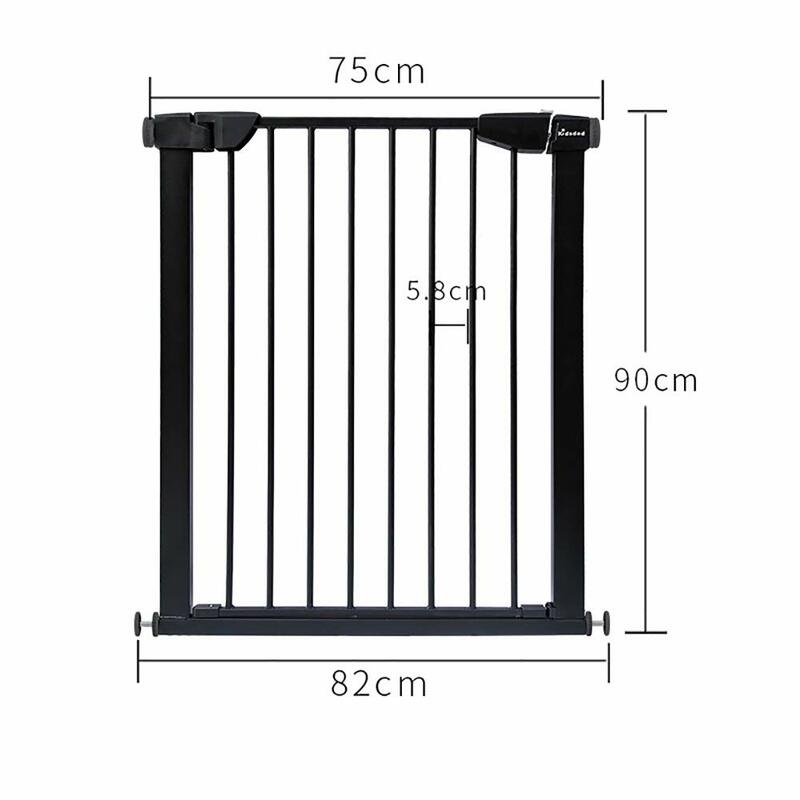 ★Delivery time: Delivery time 9-15 days, return range 30 days.If you have any questions, please contact us immediately.